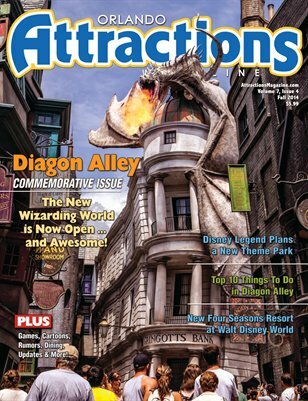 FEATURES Special Diagon Alley Commemorative Issue Get all the details on this new area and more. • Q&A: Mark Woodbury and Thierry Coup Inside the Creative Heart of Universal’s Wizardry. • Skipper Ben's Top 10 Things to Do in Diagon Alley There are a lot more things than 10, but this is your must-do. • DreamVision Dreamscape Read about a Disney Legend's plans for a new theme park.